Organizers of The Great Canadian Cheese Festival have launched a new, independent competition to select the best cheeses in Canada. act as a guide for consumers looking to buy quality Canadian cheese. milk from Canadian cows, goats, sheep or water buffalo. Qualifying cheeses cannot contain any artificial colours, flavours or preservatives, and no modified milk ingredients. A limited number of tickets for the 2014 awards ceremony are expected to go on sale soon. In the meantime, you can add your name to a waitlist for tickets by signing up at www.cheeseawards.ca. Canada already has a national awards program for cheese made from pure cow's milk. The Canadian Cheese Grand Prix, which is sponsored by the Dairy Farmers of Canada, is also held every two years. The next Canadian Cheese Grand Prix is slated for 2015. A fresh ricotta cheese from Ontario walked away with top honours yesterday at the 2013 Canadian Cheese Grand Prix. 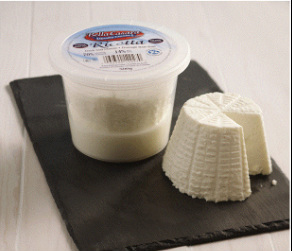 The ricotta, made by Quality Cheese Inc. of Vaughan, Ontario, was crowned Grand Champion after being selected by a jury of top food experts. This marks the first time in the history of the Grand Prix that a fresh cheese has been named Grand Champion. It’s also the first time a cheese from Ontario has taken top honours. The Canadian Cheese Grand Prix is sponsored and hosted every two years by the Dairy Farmers of Canada to celebrate the quality and diversity of Canadian cheese. All eligible cheeses must be produced in Canada, bear the 100% Canadian Milk symbol on their packaging and be available for retail sale. Quality Cheese Inc. is a manufacturer, distributor and retailer of Italian specialty cheese. Incorporated in 1988, the company operates out of a 20,000-square-foot state-of-the art facility in Vaughan, just north of Toronto. The current management team represents the fourth generation in a family tradition of cheesemaking. In February, a panel of eight judges gathered in Montreal to nibble their way through 255 cheeses from across the country in their quest to find the best Canadian cow’s milk cheese. After two days of tasting, they produced a shortlist of 58 finalists from 19 categories. The category winners and the Grand Champion were announced yesterday at a gala event in Montreal. This was the eighth Canadian Cheese Grand Prix. The next Grand Prix will be held in 2015. A Vermont-based research and teaching facility that has helped artisan cheesemakers on both sides of the Canada-U.S. border hone their craft has announced it will soon cut back its educational program. Since 2004 the Vermont Institute of Artisan Cheese has – in conjunction with the University of Vermont – offered a wide range of courses and workshops for artisan cheesemakers, including certificate programs in cheesemaking. But VIAC says that demand for their workshops and courses has declined in recent years despite a surge in the number of artisan cheesemaking operations in the U.S. and Canada. Starting in May the institute will change direction. It will cut back on its course offerings and, instead, focus on technical consulting services to cheesemakers in Vermont and New England. While VIAC will continue to offer some workshops, going forward faculty and staff will focus on current issues facing the artisan cheese industry, such as food safety, state and federal regulations, and cheese quality. The new owners of Fifth Town Artisan Cheese have announced plans to re-open the company’s processing facility in Prince Edward County in early 2014 – once the facility has been refurbished and reapproved for production. In the meantime, Fifth Town’s onsite retail store will re-open on May 30, just in time for the Great Canadian Cheese Festival. The store is being re-opened early to help support the company as it transitions to production, according to a recent posting on the company’s website (www.fifthtown.ca). Fifth Town – once touted as Canada’s only LEED certified dairy – was originally launched in June 2008 by entrepreneur Petra Kassun-Mutch. Over the next few years, the dairy earned numerous awards for its cheeses and sustainable enterprise management. Among its award-winning cheese were Cape Vessey, Bonnie and Floyd, Lighthall Tomme, Wishing Tree and Rose Haus. But despite the popularity of its cheese, the company struggled financially. Kassun-Mutch stepped down as Fifth Town’s president in August 2011 and, in May 2012, the company suspended production and was placed in receivership. breadsticks to pasta and candies to cheese. When it re-opens, the Fifth Town’s onsite store is expected to feature products honouring the new owners’ Italian roots, as well as foods produced in Prince Edward County. The Dairy Farmers of Canada has announced the finalists for the eighth installment of the Canadian Cheese Grand Prix. A panel of top food experts reviewed a record 225 entries to come up with a shortlist of 58 finalists from 19 categories. Entries were received from cheesemakers across the country – from PEI to British Columbia. Category champions and a Grand Champion will be unveiled at the 2013 Canadian Cheese Grand Prix Gala at Montreal’s Hyatt Regency Hotel on April 18th. To view a complete list of the 58 finalists, click here. A panel of eight judges gathered in Montreal February 16-17 for the Canadian Cheese Grand Prix judging weekend. The judges nibbled their way through dozens of cheeses in their quest to find the best in Canadian cow’s milk cheese. The Cheese Grand Prix – which is held every two years – was launched in 1998 by the Dairy Farmers of Canada. As such, it focuses exclusively on cheeses made from 100% Canadian cow’s milk. The event was launched to encourage product excellence and build consumer appreciation for Canadian cheese. Organizers encourage entries from across the country and consider cheese from all categories. Firefighters from nine local fire departments battled the blaze, which struck around 9:30 on the morning of February 3. The factory, renowned for its cheddar and curds, is located about 60 kilometres southeast of Ottawa. It’s expected that more than 100 employees will be without work for several months during while the company rebuilds. 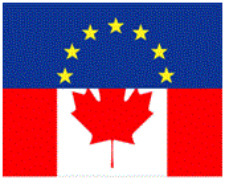 If you've got some news about the Canadian cheese industry, send us an email at ted@cheesehound.ca. We'll do our best to follow-up on the story and, if we post a story online, we'll make sure to credit you for the tip. The Great Canadain Cheese Festival will stay put in Picton. A survey of past and future attendees found there is overwhelming support for keeping the event in Picton where it's been hosted since the festival's launch in 2011. According to a post on cheeselovers.ca, the festival's official blog, 96% of past attendees said they would return to Picton for another festival, while 90% of these who have never attended said they would venture to Piction to attend the festival in the future. Only 50% of survey respondents said they would attend a festival in Toronto, 35% in Ottawa, and 28% in Montreal. instructors, time to arrange a work visa.